Holidays are about resting, avoiding the constraints of everyday life, forgetting everything and devoting yourself more than ever to your family and friends. 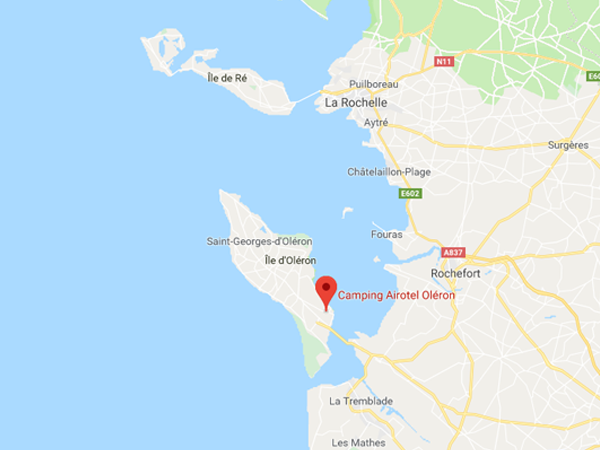 This is why our Camping Airotel Oléron **** offers you a wide range of 4-star services designed for your comfort and to offer you an unforgettable stay on the island of Oléron in Charente-Maritime! Free Wifi at the campsite: even on an island, stay connected to the mainland! Enjoy free wifi access and a network covering the entire campsite to use the Internet on your smartphone without exploding your 4G package! From one end of the campsite to the other, you can check your emails, update your Facebook status, send stories on Snapchat or browse the campsite blog in Oléron to find out about outings. For the entire duration of your stay, you will receive one free connection ticket per pitch or reserved rental. This ticket is valid for one IP address only. And if you have datavores in the family, you have access to a free and unlimited internet connection at the bar and on the terrace! 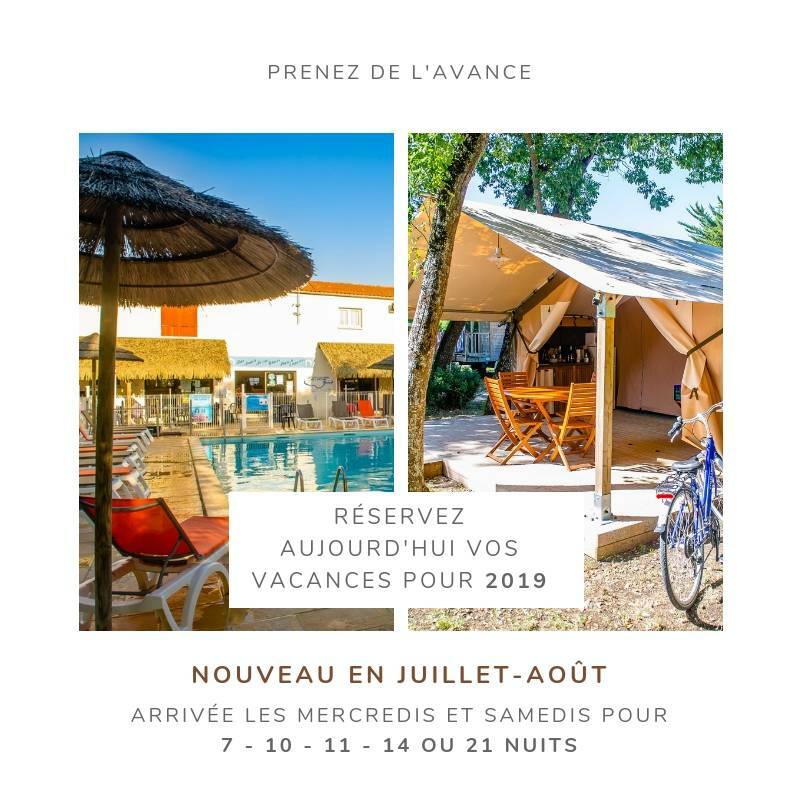 During your stay with us, everything is done to ensure that you can devote yourself completely to your holidays on the island of Oleron! At your disposal, a wide range of 4-star services and services to make your camping life easier. Every year, we are committed to recruiting a bilingual (French/English) seasonal team to better serve you. 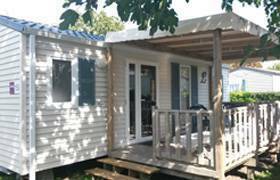 As soon as the campsite opens, a laundry room is accessible to everyone. You will find washing machine and dryer. Tokens are available for sale at the reception desk. In July and August, a bicycle rental company visits the campsite three times a week. A godsend if you wanted to discover the island of Oléron by bike! Chemical drains and a bollard are available for motorhomes. This kiosk is free of charge for guests of the campsite. For motorhomes outside the establishment, a payment of 4€ is required. During the summer period, a free shuttle bus from the campsite will take you to various beaches and tourist sites in the Oleron region. Enjoy it! The restaurant and bar invite you to share pleasant moments with family, couples or friends over a good meal. 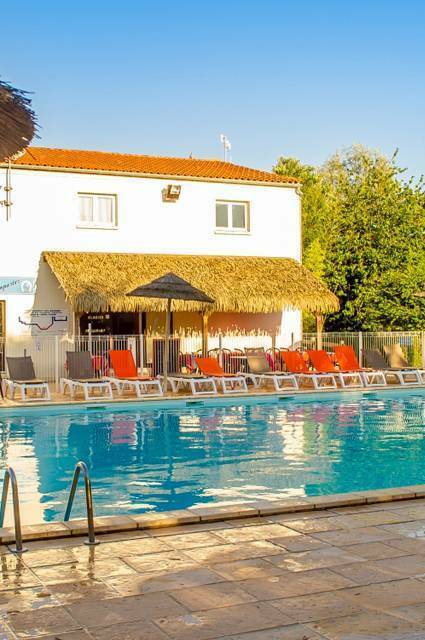 You can also quench your thirst on the terrace, eat ice cream or take a snack from the snack menu after the pool. Simple, fast, efficient, the small grocery store is open every day during the summer. You can stock up on basic necessities, buy fresh bread and pastries for breakfast or order your takeaway meals. Our equestrian centre offers training courses and horse or pony rides with a state-certified instructor. A pony park is dedicated to the youngest children. For your safety, a night watchman is present in July/August to ensure calm on the campsite. He is at your disposal if you need him. 24-hour call number: 05 46 47 47 61 82. The campsite is also equipped with video surveillance.